The Sterilucent™ Process Challenge Device (PCD) are the only cycle-specific process challenge devices for verification of hydrogen peroxide sterilizers operation. They provide additional assurance that each PSD-85 sterilization cycle has performed correctly. Sterilucent PCDs are for use only with the Sterilucent PSD-85 sterilizer. Each Sterilucent PCD is designed to present a challenge at least as demanding as the most difficult to sterilize item routinely processed in the PSD-85 sterilizer. These cycle-specific challenges offer the user greater assurance that each pre-programmed sterilizer cycle is performing to manufacturer’s specifications. 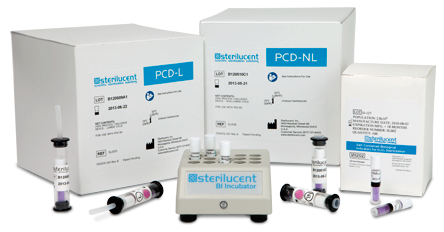 The Sterilucent PCD-L is designed to validate the lumen cycle and the Sterilucent PCD-NL is designed to validate the non-lumen cycle.